Turn of the Wheel theatre company revel in Richard Sheridan’s comedy about the appetite for poisonous gossip. Although set in the foppish 18th century London of Sheridan’s time, the exaggerated characters and their fateful traits are all too familiar. Spreading rumour and creating scandal where there is none is currently rife in social networking, and this play is constructed upon those aspects of human nature that love to hear or imagine the worst of our friends. Lampooning, bawdy, farcical and satirical, it is, above all, fast and funny. Issues of morality, hypocrisy and class are all in the mix, as a rich uncle returns after years abroad to decide which of his nephews will be his inheritor. Will it be the one who appears to be good, or the one willing to sell family heirlooms to fund his party lifestyle? 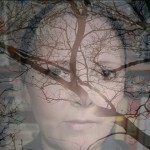 All will be uncovered as society schemes for a big scandal for sheer entertainment. The cast clearly enjoyed being in this fast-paced production. 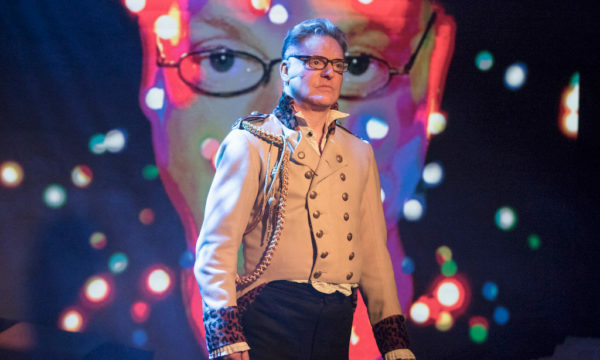 Special mention is due to last-minute replacement Rob Maloney as sweetly downtrodden Sir Peter Teazle, who had already memorised considerable amounts of his part – it’s a very wordy play – and gamely managed script in hand. His country bumpkin wife Tabitha Becker-Kahn as Lady Teazle was a delight of petulance, with every naïve thought worn on her face. Alicia Bennett was a wonderfully catty Mrs Candour and Sebastian Aguirre a gloriously smarmy Joseph Surface. Shamelessly revelling in all the gossip, Grace Fairbairn as Lady Sneerwell epitomised gleeful hypocrisy, while James Taylor Thomas excelled both as the droopy Sir Benjamin Backbite and the hapless Moses, his face bringing even more lines to the script. Waterloo East should definitely be on the radar for theatregoers. Just around the corner from Waterloo Station, it is a fairly small space hewn from a railway arch. You can occasionally hear the rumble of trains, but it doesn’t distract. This “pay what you can” night was packed full of actors and drama students. The rise of the audience seating is fairly shallow, so it’s a pity that this production had a considerable amount of action below the raised stage, making much of the audience miss out on the natural advantage of an intimate venue where you usually get to see all the action. Mistaken identity, fabulous costumes, double-crossing, lust and lies; The School For Scandal has everything today’s sitcoms aspire to. 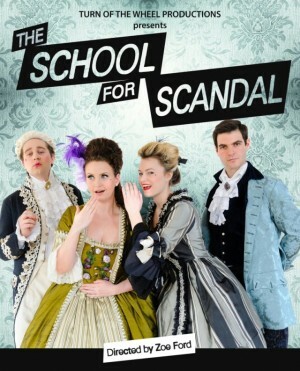 The School for Scandal is on at Waterloo East Theatre until 19th May 2013. For further information or to book tickets visit here.